Burnetts has recruited a new solicitor to its family law team - Zoe Tremeer- Holme joins Burnetts’ family law team having completed a two year solicitor training contract with the firm. Law firm Burnetts has recruited a new solicitor to its family law team. Zoe Tremeer- Holme joins Burnetts’ family law team having completed a two year solicitor training contract with the firm. An award winning student, Zoe graduated from Liverpool John Moores University with First Class Honours. 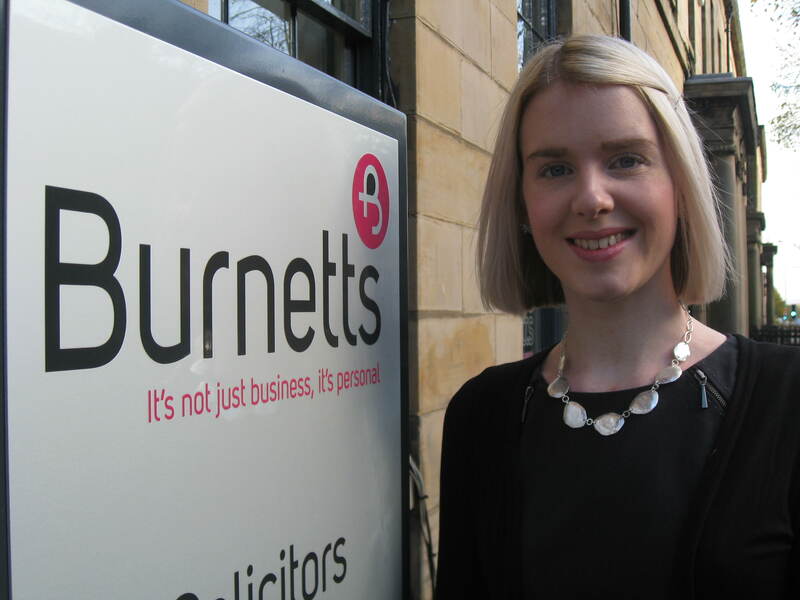 Having completed her Legal Practice Course at the College of Law Chester, she first joined Burnetts as a trainee in 2011. Now a fully qualified solicitor, Zoe’s role within the family law team will involve advising clients on cohabitation, divorce, separation and issues around children such as residence, contact and maintenance. Burnetts’ family law team includes Partners Simon Mortimer, Doug Claxton and Amy Fallows as well as Chartered Legal Executive Lynn Hutchinson. The firm has offices in Carlisle, Penrith, Cockermouth and Newcastle. Zoe grew up in Grasmere, but now lives in Kendal with husband Nathan and cocker spaniel Cassie. Further information on Burnetts’ family law team can be found at www.burnetts.co.uk.